CLASSIC MIX - FINALLY AVAILABLE AGAIN. 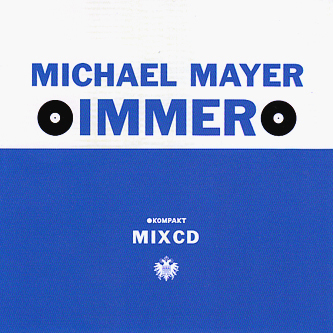 Cologne's superstar Deejay Michael Mayer has managed to find some time in between his activities as producer, remixer and head man at the fabulous Kompakt imprint/Distribution network and has brought together the finest mix cd we've heard in a long time. The flavour is decidedly micro-house cool, the selection perfect and the mixing immaculate. Opening up with Farben's tremendous broken house remix of Auch's 'Kiss Tomorrow Goodbye' we're taken through the disco dubisms of A Rocket in Dub through to Trapez artists M Rahn and Akufen, Carsten Jost's elongated 4/4 funk drifts, Thomas Fehlman's look back at all that was Basic Channel with a ragga twist and Phantom/Ghost's unbeleivably good static pop of classical music and vocal bliss. Mix CD's are about so much more then just technical proficiency, Mr Mayer proving perfectly that mood and development can be judged to perfection. A showcase of all that's good about this little scene, nurtured and brought to life in Cologne. Immense.